All new Floorplan in Creekvale, built by EG Stoltzfus Homes! The Aspen American Townhome is completely open-concept. This Platinum Package interior unit features hand-scraped Hardwood on 1st Floor, Granite tops w/ceramic back splash, Island w/pendant lights, Recessed lights, Smooth-top SS range, Water line for frig, GDO, and much more... The basement is a walkout with patio doors, and "ready to finish" with a Superior Walls Basement System. 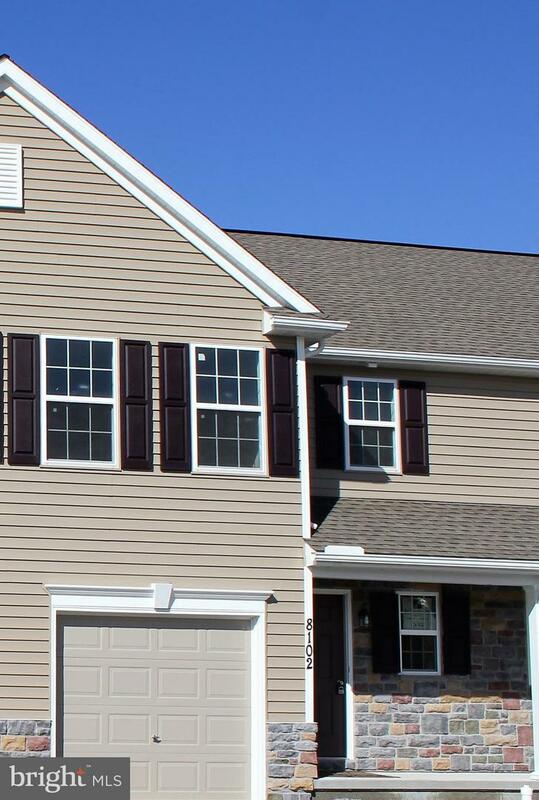 All townhomes include a 1-year Builder's Warranty. $7000 incentive toward closing costs, when using LMC Home Loans and Premier Settlements. This townhome is under construction, and could settle as early as May, 2019. Creekvale has a MODEL located at 8100 Lenker that is OPEN SUNDAYS 1:00-4:00. ***Note: this home shall be priced at either $199,900 or $187,900 depending if buyer chooses Platinum or Gold interior finishes.